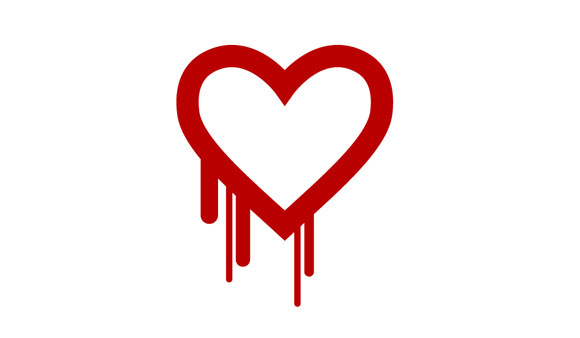 Before we get started on this week’s update, we wanted to make all of you aware of a very serious website vulnerability called “Heartbleed” that was discovered since our last update. This bug affected a huge number of sites and services across the internet, potentially exposing passwords and other sensitive information to hackers that understood how to exploit it. Unfortunately, the Eternity website was running an affected version of this software, and as soon as we became aware of it, we took the appropriate steps to close the vulnerability. While we have no evidence or other reasons to believe any passwords or personal information was stolen, we do recommend you change your password if you have an account, especially if you reuse this same password on other sites. To change your password, visit your Account Profile, click on the E-mail & Password tab, enter your current password, and your new password twice and click Save Changes. Please leave the e-mail address boxes empty. xkcd comic: How the Heartbleed bug works. Hello awesome backers. My name is Justin Bell and I’m the Audio Director at Obsidian, and the Audio Lead/Composer for Pillars of Eternity. I know a lot of you have been waiting patiently to hear some news about the game’s music. Thanks for waiting, I’m happy to say this update will focus entirely on music! In it we’ll cover the high level creative guidelines we’re using to write the score. I’ll also provide you with an in depth look into my music writing process. For those of you who are chomping at the bit for more info about the sound design for PoE, don’t worry... We’re going to do another update in the future that focuses on that as well. But for now, let’s talk about music! Our next update will be a look at the most recent art our talented team has put together for the game. Making Pillars of Eternity feel like a modern day Infinity Engine game is important to us, and music plays a big role in achieving that goal. But what does that actually mean in practice? Well if you were to loosely analyze the music from Baldur’s Gate 1 & 2 and Icewind Dale 1 & 2 for example, you would find a number of stylistic similarities between them. Without getting too technical, their music combines tropes found in European folk and pre-Renaissance modal music, and mashes that together with modern day orchestration techniques and film music aesthetics. Putting it in such cold and analytical terms doesn’t really give those soundtracks the justice they deserve, does it? Still it’s important for me as the composer to understand things in that way, and here’s why. An incredible teacher of mine used to say, “When in doubt, use a model”. Another incredible teacher would likewise say, “Never proceed without a plan”. What they were both saying is that if you’re going to take a journey, you need to understand the path and know your destination to the best of your ability. Even if the plan needs to change at some point down the path, always think it through first. Luckily for me both are pretty clear. In that sense the soundtracks for the IE games are both my model and my plan, at least to a point. I’ve made a couple minor structural modifications to the formula, which I’ll describe in greater depth further on. But first I’d like to give you an inside peek into the creative process I use to write music. I commute to work. Every. Day. Exciting right?! Right... Don’t let the mundaneness of that description fool you, as this is actually one of the most important parts of my day. It’s one of the few times that I get to listen to music without interruption, and I use this time to get inspired to write. Things I’ve been putting on lately are the soundtracks for The Elder Scrolls (III, IV, and V), The Lord of the Rings and The Hobbit, anything by Basil Poledouris, and of course the IE soundtracks, just to name a few. As I’m driving and listening I stay on the lookout for small moments that inspire me in some way. When I come across something that attracts my attention, like an interesting harmony or nice orchestral combination, I document the track number, time range, and any observations I have using a little handheld recorder. By the time I get to work I usually have roughly 10 small voice memos recorded for myself. When I get in front of my computer at work I pull the tracks I noticed into my audio program, edit out the sections in question, and categorize them with my notes for future use. It’s a way of systematizing inspiration, which I’ll admit may sound counter intuitive to some. When working on a project with deadlines while simultaneously trying to keep things the creative juices flowing, being organized is critical to successfully balancing those two often competing requirements. 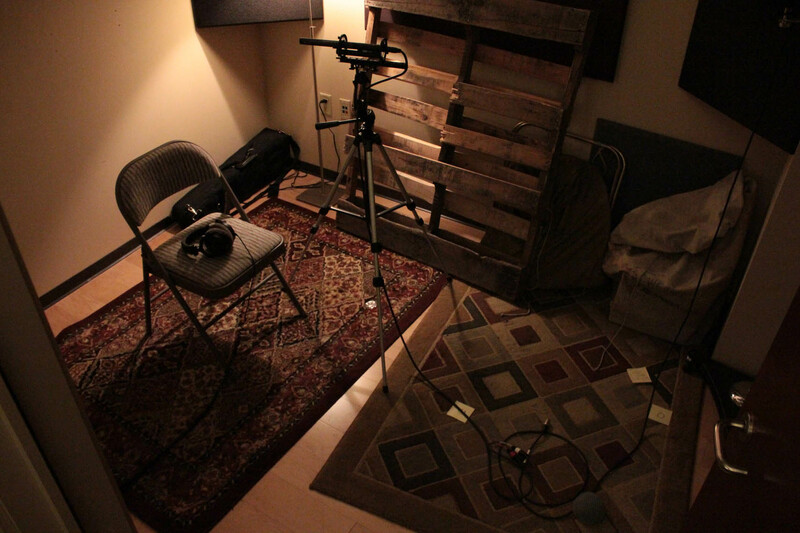 The audio booth with noise making props. After I’m through categorizing the nuggets of inspiration, I sit in front of my keyboard and sight read a single chorale from J.S. Bach’s beautiful collection of 371 four part chorales. Each day I read a new one in sequence, and I do this for a couple reasons. I’m a musician, sight reading is fun, and this is an excuse to keep my chops up. But more importantly, I do it to get motivated by the master of modern tonal harmony himself. When I’m actually writing music and get stuck at a tricky voice leading spot, the fact that I have Bach in my ear and at my fingertips is often a lifesaver. I like to keep the actual writing process as simple as possible. To do that, I open up my writing program (Nuendo 6 + NEK for those who are interested) and compose with one piano patch and one full string patch only. This is pretty standard practice for some, and I do it too. It allows me to focus on just the melody, rhythm, and harmony alone (i.e. the Music, with a capital “M”) without concerning myself too much with instrumentation or the mix. Both of those things aren’t important now and I know I’ll get to them later. For now it’s all about the music. By keeping the writing process simple, I free up my ability to stay creative. Here I’ll write whatever comes to mind. Sometimes it’s entire pieces of music, other times it’s a small fragment. I don’t really try to do anything specific or limit myself in any way; I just let the ideas flow as freely as possible. The idea here is to write as much music as possible without concern for the end result. Again, it’s important to keep things loose. At the end of each day I may write up to an hour of sketches, about 90% of which will never see the light of day. It’s the remaining 10% that I’m really after. I liken this process to panning for gold. The way I look at it is that in order to succeed, you need to know how to fail. It doesn’t matter to me if I’ve deliberately crafted a piece of music through the sheer force of my will and divine creativity or whatever. Happy accidents can and do often yield the best creative results, and allowing them to happen is essential to remaining creative while working under tight deadlines. Now you may be wondering, “Where’s the artistry in that?!? Anyone can do that!” The artistry lies in the ability to recognize a great idea when it comes to you, regardless of where it comes from or how deliberate the process to create it was. Simple as that! Once I’ve run out of time sketching things out, it’s time to start identifying the material that actually has potential to be made into a larger piece of music. I do this by color coding each region (i.e. sketch) based on how good I think it is. By default all of my regions are blue because it’s soothing for me to look at. All segments that are halfway decent get turned purple, which means I may or may not have a use for it. Everything that sounds amazing and I’m confident in gets coded red. Once that’s done, I version off my session and delete all the remaining blue regions for them to go to unwanted sketch heaven. In Eternity we break music into four basic “types”: town, dungeon, wilderness, and combat. Each major area of the game will have its own unique set of these. The next step for me is to assign each sketch to one of those categories. So I have all these little segments of music and cool little snippets, but I don’t exactly have what you’d consider to be a piece of music. Time to change that! The next step involves stitching all of those little fragments, expanding them where necessary, into a full-fledged piece of music. A lot of mixing and matching goes into this and the process takes me about a half day per 3-5 minute piece of music. I focus a lot on form, pacing, and musical trajectory. Once the form has taken a shape I’m happy with, I separate each voice out into individual track lanes so I can begin the process of digital orchestration. Prior to working on Eternity I spent a couple of weeks creating what’s known in the digital composing world as template. A template is essentially a collection of sample based instruments that are preloaded into a massive audio project. In my template I have all of the most common instruments found in the orchestra (i.e. winds, brass, percussion, and strings), as well as some less common ones, all set up and mixed in advance. This is done to help minimize the steps I have to take between the spark of inspiration and manifesting that inspiration into music. All in all I have about 150 unique tracks for all the instruments and articulations that I’ll need to write the music for Eternity, though I’ll rarely use all 150 at one time. There are a couple of reasons why using a template is important and they all have to do with speed and convenience. When writing, the last thing you want is to get bogged down with technical issues. Doing so will often destroy the spark of inspiration, which can be a fickle thing. By creating a template in advance you separate the technical from the creative which allows you to focus purely on writing the music. Templates are also critical because modern day multi sample libraries eat up a lot of RAM and take a long time to load. Your average sampled instrument can require anywhere from a couple hundred to a few gigs of memory. 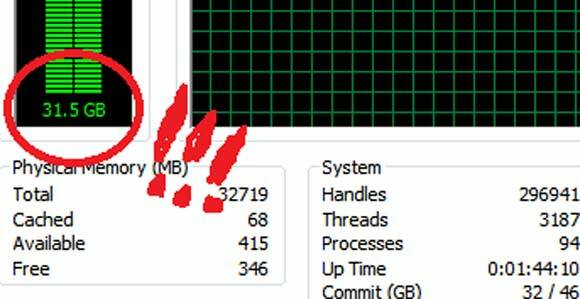 (Fun fact: My computer at Obsidian has 32 gigs or RAM installed, and my template uses every last gig!) Needless to say, loading all those samples takes up precious time, and it’s a waste to have to do that over and over. Back to the music writing... Right now the form of the music has been fleshed out, but it’s still just using piano or string orchestra. 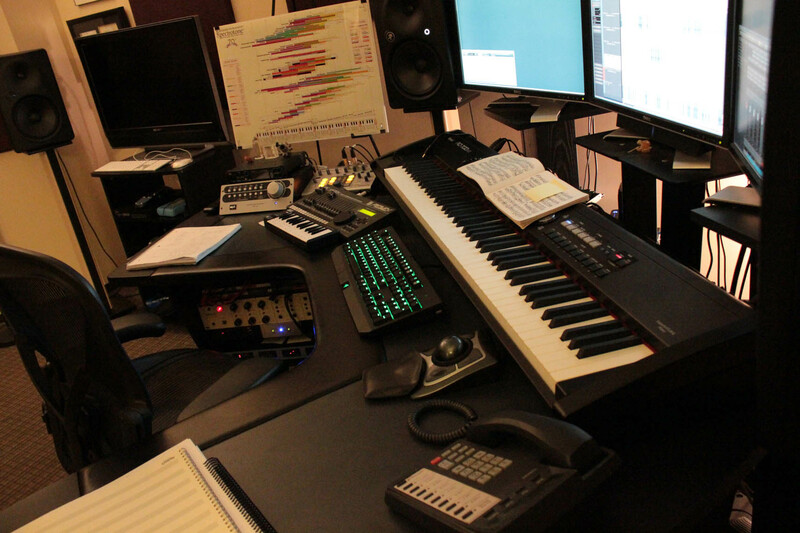 This is where orchestration comes in. We often refer to the different ranges and combinations of instruments as having a certain “color”, which is really just a fancy way of saying sonic timbre. You can think of orchestration as being similar to taking a pencil sketch and filling it in with color. The way I like describe this stage of the writing process is that here I have the “bones” of the music all assembled like an archeologist assembles dinosaur bones; it just needs to be “skinned”. At this point I already have a good idea for what the general moment to moment feeling of the music will be, and ideas for orchestration are already beginning to take shape. This is where those references I mentioned earlier on come in handy. What I do is comb through my reference library looking for snippets that will inspire and inform me on how to approach the instrumentation. When I find something suitable I line appropriate reference(s) up against the sketch. A piece in the middle of development. 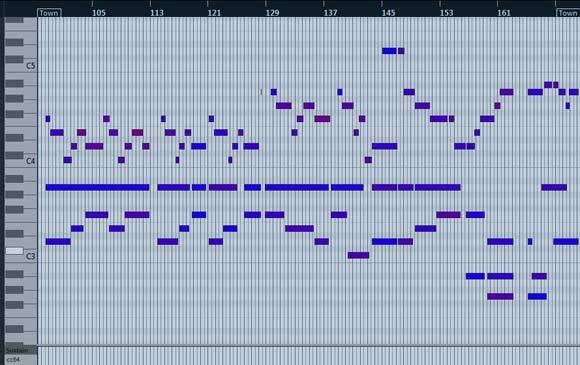 Even though the actual harmonic and rhythmic content of music that I’ve written is quite different than the references I have, I can still use them to extract the orchestral colors the original composer used and apply them to what I’m doing. This helps me to produce the most realistic result possible (remember I’m using samples most of the time) and allows me to get through the orchestration process in the fastest way without spending too much time on R&D. At this stage in the project it’s less important for me to spend a bunch of time trying to come up with the most unique orchestration known to man, than it is for me to get 70% of the way there using a combination that I know will work. I don’t always need to do this for each musical phrase, but it sure comes in handy when I’m stuck. Once the references are all lined up, I start assigning the different layers of music to the instruments that are loaded in my template. In its current state, the music sounds really static and pretty bad. Not ready for prime time. Even though I just assigned the music to different instruments, it’s not quite done yet. For example, phrases lack shape, the mix between instruments is unbalanced, and articulations are all wrong. To fix that, I hand sculpt each individual note and phrase to make it sound more convincing, trying my best to make it sound as if a real live musician were performing the piece (which is actually impossible to do, but that’s the subject for another conversation). This, my friends, is where the music really comes to life. It’s a painstakingly slow and highly detailed process but by the end of it, we’re left with something that actually sounds pretty good! Now I bet you’re wondering how that sounds? Well wonder no more because I’m about to show you! The first region I focused on was Dyrford, and I’d like to share the music that I wrote for the town of Dyrford with you. I hope you enjoy it! While we are following in the footsteps of the Infinity Engine soundtracks in terms of style and implementation, we have decided to tweak that formula a bit. Most of the in-game tracks for the Baldur’s Gate and Icewind Dale games are between 1-2 minutes in length, and in some cases those tracks loop immediately. There are some inherent risks and benefits to looping a short piece of music immediately. One of the risks is that the music could eventually become annoying to the player if heard too many times in a row. We call this “listener fatigue”, and from a usability perspective, it can negatively affect the way a gamer will feel about a game. It’s a psychological effect; the fact that the music is short and repetitious can make long playthroughs tedious. On the flip side, a benefit to having short loops is that we can write more unique pieces of music, which will by nature increase variety throughout the game. Approaching it this way would allow us to make specific areas feel “special” because they will have unique music. We’re going to balance those two considerations for Pillars of Eternity. Music will always loop, but it will be longer in areas where the player spends a lot of time (like quest hubs) and shorter in areas where the player doesn’t (like some dungeons). "Heartbleed..hmm. K, gotta change password..Eh? What's this? Words in my music? ...Hmm...Commute...ok...Bach...ah. AHH I CANT TAKE IT ANYMORE"
Scroll down to bottom on page, see Drumroll with video. My blog is where I'm keeping a record of all of my suggestions and bug mentions. - Except for battle music, the IE games did not continuously loop music. There were several minutes of silence between each iteration. The IE games also had great ambient sound - wind, birds, indistinct banter, etc. - and these music pauses allowed the player to really enjoy them. I hope the same approach is taken for PoE, which unfortunately this seems to contradict: "Music will always loop, but it will be longer in areas where the player spends a lot of time (like quest hubs) and shorter in areas where the player doesn’t (like some dungeons)." - The Kickstarter included live instrumentation - why spend so much time on articulation for synthetic soundtracks if it's going to be recorded by real musicians anyway? Or will it not be? I'm confused. Nice, have you listened to any of the original Witcher music? It had some really nice pieces with possibly more of a Eastern European style to them was a nice change and addition to the usual RPG music. the music for the village gives off a sense of desolation. That was a nice summary. Reminds me a bit of IWD2, which is a Good Thing. I didn't like the tune. New scenery is awesome though. - If memory serves, the Kickstarter included a live orchestra - why spend so much time on articulation for synthetic soundtracks if it's going to be recorded by real musicians anyway? Or will it not be? I'm confused. the music needs to be composed, written clearly, tested and practiced before getting recorded. using a live orchestra for tests would cost an arm and a leg. I hope there will be some more "iconic" and "epic" peaces of music as well like the ones we know from BG2 (e.g. the main theme, the end theme or the good theme). Sounding Pretty Good Justin! Nice set up! I can't stand working in sequencer right now. But being media composer we have to. Keep it up! I like the Spectron Chart you have set up! Love the images on your video as well. That was an excellently written update! Perhaps my favourite so far. Is there any plan in the works to have these tracks be performed with live instrumentation? the music could eventually become annoying to the player if heard too many times in a row. The music gave me a distinct feeling that this village was old and likely run-down. Probably part of the "old world." some advice when doing everyting in a sequencer. When creating phrases always make them swell think of the conductor as he would with the players. When repeating themes and adding in brass start to swell then use Cressendo to bring the theme repeat in as big lush orchestra with strings in the upper octaves Violins and Irish flute on top or whatever. That's pretty typical film technique as well. Question and Answering phrases are not in time. one is little faster one is a little slower as the musicians play with emotion the phrases. Every player wants perform there best! Conan The Barbarian Amazing Sound track ! Anywayz Keep it up and thanks for sharing I love the work you guys are doing! Are there some new screens in the music vid? Btw, try playing these 3 at the same time for a sample conceptual ambience (or mix and match). Don't need to listen to the Rain or Nature for all those hours of course. I get the feeling that the Dyrford is a slow place. A kind of "soft" and calm area where not much is really going on, and the pictures also portray ruins and that in itself portrays a form of sadness, or abandonment. Someone else mentioned "desolation" and I agree there too. Like that granary (is that a granary? ), the building that has no roof, why wasn't it repaired? Is it an area of some unrest or... are people simply poor or heavily taxed here? I almost always turn music off in RPG game mainly because I don't like the way music always changes so abruptly in response to events like combat or area change - I just always find it more irritating than atmospheric. My enjoyment is typically greater without music. Now - ambient sound is a different thing altogether - that always enhances if done well. That saying a good theme such as the one illustrated here does help atmosphere but I wonder if it would be possible to have a setting that turns off looping so a player can hear such tunes upon entry to an area to create the mood but then have them fade out after a single play and rely on ambient noises to maintain that mood? I can't comment on the musical design process with anything near the same confidence (/arrogance) that I can comment on the rules design, but the sample piece is pretty awesome. This game is going to be beautiful. Holy hell, I wouldn't want to play a game without music...it's like playing a game without visuals for me. The games I remember best are the ones with the best soundtrack...almost the same is true for movies/series. Sound and music are such strong elements to encourage emotions.... Missing out on music is like missing out on a core element of the audio-visual experience a video game is. I agree there's a splash of Arcanum in there combined with a fair amount of TES inspiration. It was a good pece but mayebe not the most memorable one. One other hand not every track can be. I hope to not hear many bombastic tracks in Eternity. This is a step in the direction I like. Btw, will there be vocal tracks? Not just choirs, I'm thinking of hymns and such. Would be awesome in a mastic or spooky place. I think what you're hearing there is "Jeremy Soule inspiration". He did Icewind Dale too. There's some of that, too. Really beautiful piece, Justin. The Basil Poledouris influence is pretty noticeable, but that's no bad thing. I'm detecting a bit of Dark Souls' Firelink Shrine in there as well, which is always nice. I often either don't like or am indifferent to music in fantasy films and videogames, especially Western ones, because it often feels soulless and - literally - generic. There is nothing genuine in it. This piece is not soulless or generic, and it is genuine. It is also evocative to the point that it could almost be considered a mild spoiler (which is a compliment). It sounds to me like a regretful homecoming of some sort, or a lament for past glories. Dyrford is not what it once was, is it? That's the vibe I'm getting.